Oh my goodness... I absolutely can not say enough good things about this book. 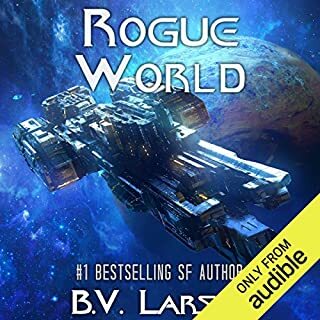 I’ve listened to 64 titles on Audible since I first subscribed and this one is easily my favorite. 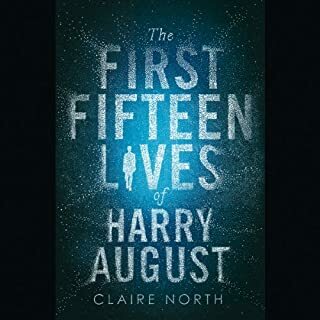 Harry August is just a regular guy who keeps living the same life over and over again. The first quarter of the book sets out him essentially coming to terms with the fact that he is, for all intents and purposes, immortal. After that, the plot really starts to form and I don’t want to say much about it but it’s fantastic. There is an evil villain and the book has some dark moments. The ending itself is very dark and personally, made the book perfect. 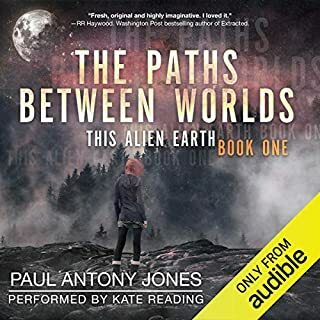 The narration is very good - it legitimately feels like Harry August is telling the story and the accents and voices he pulls off are amazing. I legitimately can not give this book enough positive feedback. If you are even thinking about reading this book than just do it. You will not regret it. I went into this book not knowing it was a romance novel and ended up really enjoying it. I will say that I personally found the beginning portion prior to Troy more interesting than the portion of the book that took place at Troy. This isn’t to say the story was any less good - but the fall of Troy is nothing new. 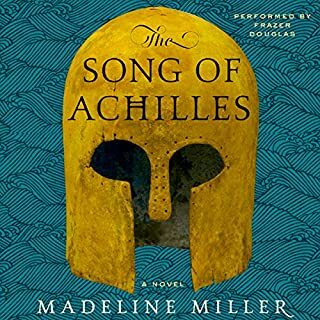 The book is about Patroclus and his love for Achilles. The book starts off with them as boys and in a way discovering themselves and developing a romantic bond. The boys grow together and eventually move on and apprentice with Chiron together, where Patroclus learns medicine. Their relationship really takes up from there and I won’t give anything further as I already feel this is a tiny bit of a spoiler but it’s pretty obvious. The book is a tragedy if the subject matter didn’t make that obvious. If a new take on the fall of Troy is something you’re interested in, I wholeheartedly recommend this book. It leans heavy on the romance however and any reader should be aware. Very good book. Took away one star simply because it does drag a little bit once they get to Troy. Like the title says - I wouldn't recommend this book to anyone who is looking for hard science fiction. Is the story bad? No - Is it predictable and a little cookie cutter? Yes. The 3 books get progressively better as they progress as far as overall plot and story. The characters are pretty straightforward and a little repetitive and I never really found that I cared for any of them. This never really bothered me as much but what really got me was the science fiction - I'll elaborate below. The science part of this book is at the level of a B-movie. The issues that plague a space faring civilization such as food, aritificial gravity, communication and propulsion are either explained away with a quick 'thingamabob' or are ignored altogether. For example, there is technology to travel at FTL speeds via wormhole but it's use destroys the universe slowly; alternatively, this same technology which is based off a specific element, also creates artificial gravity but the effect is negligible. There are several cases in the book where something is simply a problem unless it isn't. In the first book, the protagonist has debilitating PTSD and in the following books it never once comes up. Propulsion just essentially happens with no real explanation of why or how or why they can fly across a solar system in what seems like minutes but at the same time - have to rely on gates for interstellar travel. One of the other annoyances of the novel is that racism and prejudice are a massive component of the civilization. Book 1 pushes this to the point where I nearly returned the book. Books 2 and 3 bring it up when it is the most inconvenient but it honestly felt a little bit forced. I didn't care for this as it felt so forced and was over the top enough that it felt the author was being pointedly ridiculous. I found myself rolling my eyes constantly. Again, despite all this I wouldn't say it's a 'bad' book - but I can't recommend it. 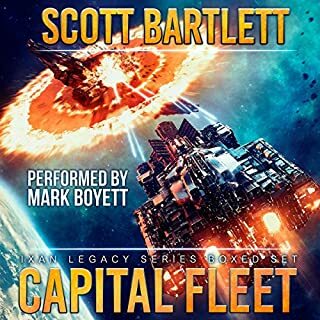 If you want to listen to something very light that has action (there is a lot of action) and an alright story - this isn't a bad book for you. For those of us who love hard Scifi (think Ender's Game, The Expanse and other similar titles) this is a solid pass. It’s been a long time getting here but I adore Abercrombie’s work. This one does not disappoint! The ever present cynicism and grittiness are still just as present as they ever were. 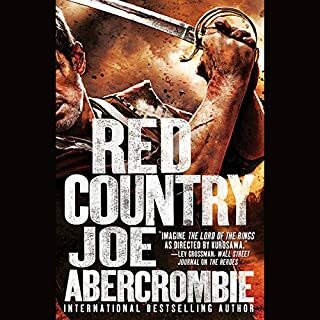 Fans of the series will know exactly what to expect and unlike the other two ‘standalone’ books - I’d say this one could be read out of order whereas the two before it in my opinion are best read in sequence. This one brings back several characters and closes up there stories to some extent. I personally thought this one was a little slow in the middle but at the same time - this one is the most unique in that it creates a very niche setting (almost a western theme) in the First Law universe. I was essentially on the edge of my seat out of fear for the characters up until the last 2 or 3 minutes of the book once the story got past the slower middle section. This book, once it picks up, is intense. 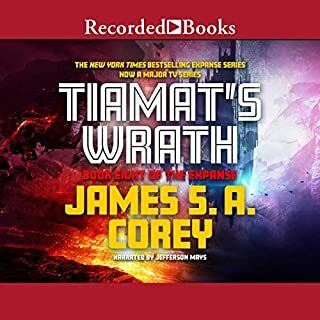 Fans of the series brutality will not be disappointed either - this one features a return of a favorite anti hero (I won’t spoil it by revealing the name) and he is especially ruthless in his efficiency in this one. Overall, very good book, fantastic story and world. Amazing narration by Pacey - I can not say enough good things about the series. 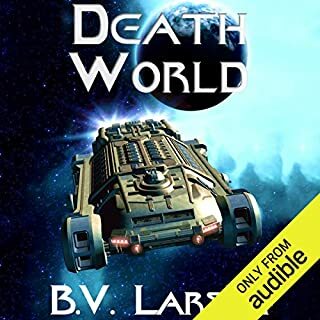 I got this book for free in exchange for a review so this one is a little outside of my normal genre of listening. It’s actually pretty good. The story to me reminded me a lot of the TV show Lost but there are definitely a lot of differences. Essentially, a bunch of people are abandoned on an island and they don’t know why. Every mystery solved opens up 3 more mysteries. Kate Reading did a great job reading for the characters and I found that Meredith in particular was a very engaging character. I give the story an average rating simply because I found several occasions that I just couldn’t keep my focus on the book. It’s definitely not bad and I look forward to the next book - but several times I was just listening to get through to the next sequence of events. I really enjoyed this particular one. James McGill is as usual back to his usual antics but this book had him behaving a little bit more while still being very much himself. The action on this one was a little more faster paced and featured a very large space battle - something we’ve not really been treated to yet. Fans of the series will no real surprises with this book but that’s a good thing. Overall, I think this one was a bit better than the last couple were and I definitely recommend it to fans. 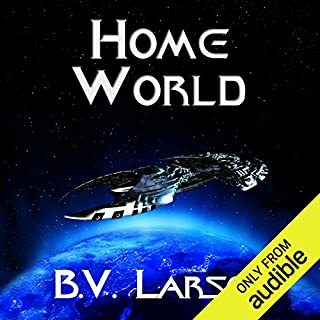 I love the series - that said, this one is probably my favorite one after Caliban’s War (which is my personal favorite). Anyone who has come this far into the series already knows what to expect. We get some questions answered about the last book's events and we start to get an idea of where the final book is going to take us. 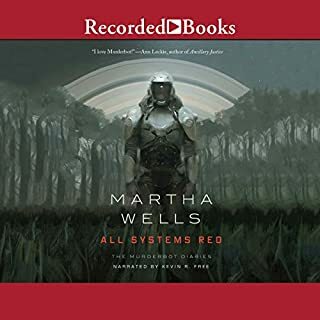 Book is about a robot that struggles to hide his humanity in a world that isn’t friendly to his humanity and somehow - this robot is one of the more human characters in the book. It’s got some dark humor in it and you constantly find yourself rooting for the robot. Not a very long book and there’s really not much else I can say - I very much recommend it if you’re looking for something short. The series in my opinion kinda dragged a little bit before this book but I really enjoyed this one. This one closes a couple of story arcs that I was wondering about. The ending felt a tiny bit rushed but still very good. If you are looking for something drastically different from the last ones than this one isn’t it - but if you made it this far then you probably aren’t looking for that. Recommend to any fan of the series. I love this series and just can’t get enough of it. That said, I found this book a little slower than the ones prior. I still very much enjoyed it and this book actually answered a lot of questions about the previous books that didn’t make sense (like why the squids haven’t wiped earth out yet). Definitely worth the read still! The narrator as always does a very good job. I’ve noticed now and again that his voice for Graves and Harris seem to change a little bit but not enough to really be upsetting. For example - Graves always sounded very menacing but the narrator will sometimes lose a little bit of that during his longer dialogues. Not really a true complaint but that knocked a star off the performance rating for me.